Last spring I wrote about the splendid Icelandic indie film Rams, by Grimur Hakonarson, when it got the ‘Certain Regard’ prize at the Cannes Film Festival. Since then it has gotten several other awards and brilliant reviews. 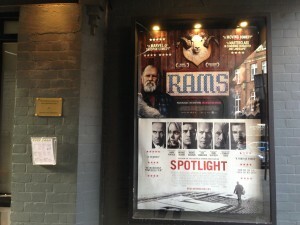 Rams is showing in UK Cinemas now. If you want to catch another Icelander on the silver screen you can go and see Olafur Darri Olafsson in Zoolander 2, and if you want to see more of him, he has a lot bigger role in the brand new TV series Trapped, starting on BBC Four next Saturday. 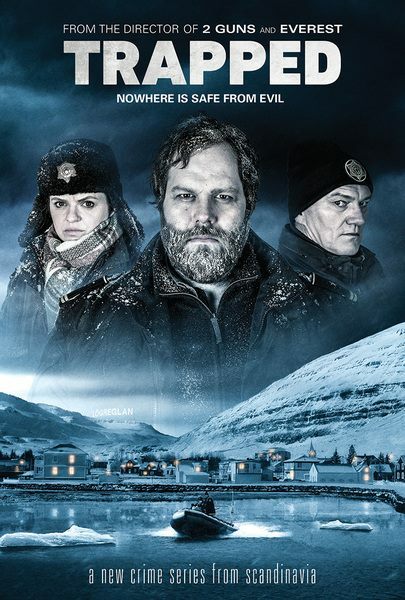 Trapped is the first Nordic Noir series from Iceland shown on BBC. There are several directors working on the series, amongst them the director of Everest, Baltasar Kormakur. You can read about him in my blog from the beginning of September. Another is Baldvin Z, director of Life in a Fishbowl, which screened at the East End Film Festival last summer. Tim Evans was kind enough to share his thoughts on the film with me. There’s another Icelander showing his skills on British TV these days. Gisli Orn Gardarsson plays Breca in Beowulf: Return to the Shieldlands. The fantasy drama is on ITV Sunday nights at 7pm. Gardarsson is also known as the theatre director of Vesturport. On top of that, composer Johann Johannsson might get his second BAFTA award for his score for Denis Villeneuve’s film Sicario next Sunday. Last year Johannsson took home a BAFTA for the music he wrote for The Theory of Everything. Lurking behind the scenes are also two exceptional artists from the island. Heba Thorisdottir is responsible for the excellent make up in Tarantino’s Hateful Eight and Hildur Gudnadottir plays the cello for Iñarritu’s Revenant. There are probably many others I don’t know about. Icelanders seem to be everywhere these days.